The CMP3-L, manufactured by Kipp & Zonen, is an ISO-second-class pyranometer that monitors solar radiation for the full solar spectrum range. It produces a millivolt signal that is measured directly by a Campbell Scientific data logger. The CMP3-L can provide solar radiation measurements for a variety of meteorological applications. 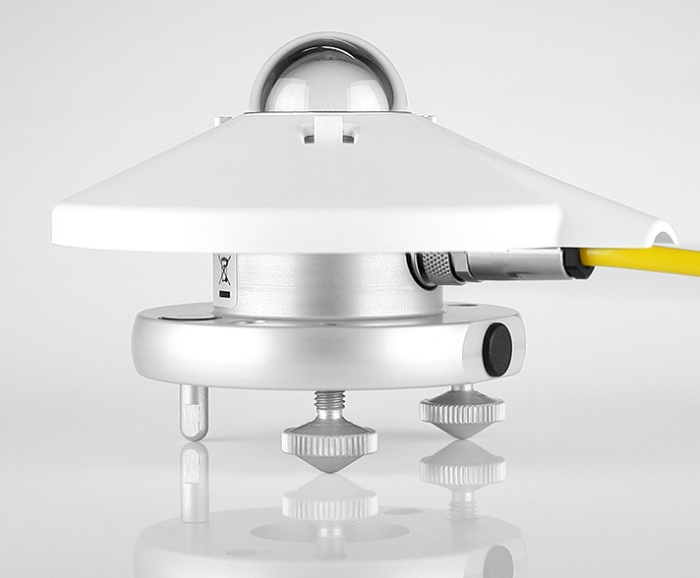 The CMP3-L measures solar radiation with a high-quality blackened thermopile protected by a dome. The blackened thermopile provides a flat spectral response for the full solar spectrum range, which allows the CMP3-L to be used under plant canopies or lamps, when the sky is cloudy, and for reflected radiation measurements. The CMP3-L includes a white snap-on sun shield that reduces the sensor's temperature. It also has a bubble level and adjusting leveling screws, which enable the sensor to be leveled without using a leveling base. The CMP3-L produces a millivolt signal that is measured directly by a Campbell Scientific data logger. 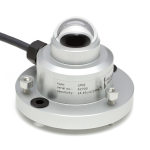 Two CMP3-L pyranometers can be mounted back-to-back to make a low-cost albedometer. Contact Campbell Scientific for more information.